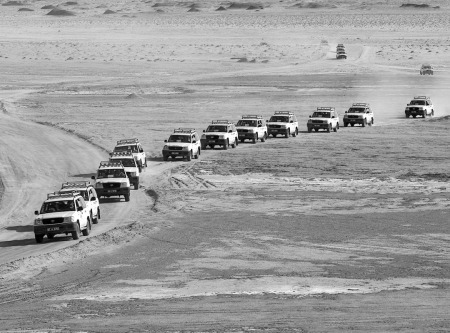 This tour will take you from the green north in western of Tunisia to the the oases of Tozeur and the desert of Douz. You'll have also the oportunity some historical sites and museums. End of the tour will be in the coastal town of Sousse. Arrival to the airport, welcome and greet by our representative and transfer to the hotel Majestic Tunis. Dinner and the overnight. After breakfast we start the day by the visit of the finest museum of Tunisia the Bardo where the largest mosaic collection in the world is. 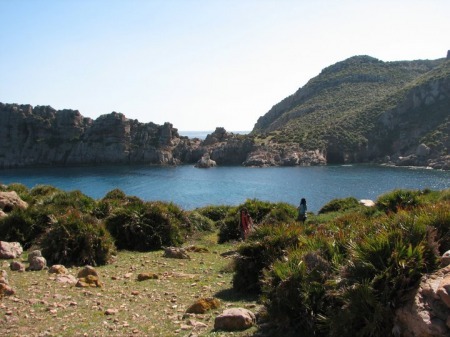 Continuation to the north of Tunis to visit as many monuments as possible in Carthage such as the baths, the Tophet, the Punic harbors, the Byrsa hill and the museum of Carthage. 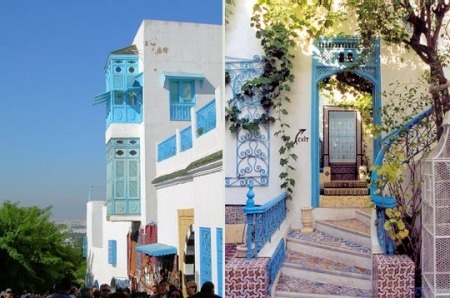 Nearby is the village of Sidi Bou Said where walls are white and doors and windows are blue. A free time will allow you to discover the beauty of this Mediterranean, Andalusian and Turkish architecture that inspired for years many painters and artists. We finish by driving back to the same hotel for dinner and the overnight stay. After breakfast, we leave the hotel going north to the Berber village of Sejnene and via the village of Nefza. Sejnene is famous with the Berber pottery. The clay is collected locally and women make different items from what can be seen elsewhere. The clay is mixed with sweat water, items are created and put into a basic kiln then each item is decorated in a very primitive way reflecting the old Berber art, designs and colors. Colors are often obtained from natural dyes such as saffron, henna, indigo … etc. A stop on the way will give you the opportunity to buy from the local ladies what applies to you then we continue to Tabarka. Tabarka is the capital of coral and the venue where the Jazz festival started many years ago and became a famous tradition attracting people from Tunisia and the European countries who like this kind of music. 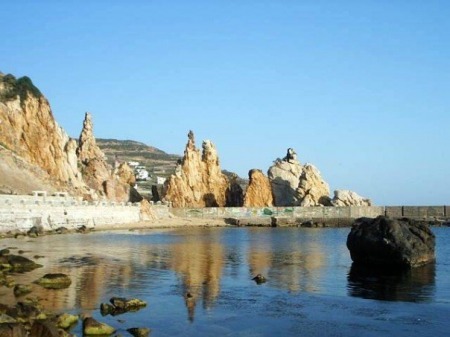 During our stop, we can visit the popular natural rocks known as the needles thanks to their shape and the fort on the top of the hill dominating all the city of Tabarka. The leisure harbor in the nearby might take few minutes of the free time to walk around it and maybe sit back and relax while having a drink. Ain Draham, the village of the cork trees forests is where we will spend the night at hotel Dar Ismail 4* located in the top hill of Ain Draham forest. Dinner and overnight. Depending on the season but very often during the winter it snows in Tabarka and Ain Draham so we might sit in the bar around the fire place in the evening. After breakfast we depart from the hotel to visit a unique Roman site in Tunisia known for the underground houses. Trying to escape the heat of the region during the summer, people built underground homes that made living in the area much more comfortable. When those home were excavated each one of them was given a name based on the subject of the main mosaic: the house of fishing, the treasure house, the hunting house.. etc. Many other monuments are still standing on the site such as the baths, the theatre, and the remains of the Saturn temple, the water cisterns and many more. Le Kef is the town where we will end our day. This is a typical Tunisian town where farming is the main activity of families. 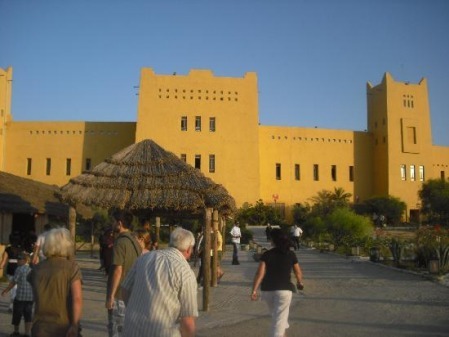 A local museum of traditions and popular arts witnesses the wealth of the city and a beautiful fort stand on the top of the pick of Le Kef over looking the entire valley and the town. Dinner will be in a local restaurant and overnight at hotel Leklil 3*. Departure in the morning after breakfast toward the center of Tunisia and the fantastic Roman site of Sbeitla, the Roman Sufeitula. This site may be the second most important site after Dougga and yet not a UNESCO site. The city was rich and we can tell from the size of the buildings and the quality of the mosaics. 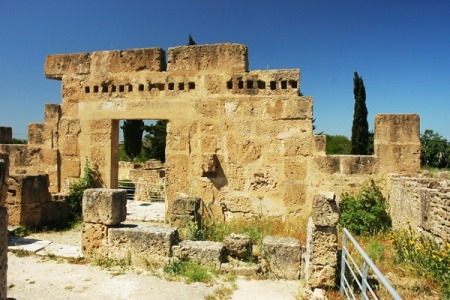 The origin of this wealth is the olive grove and the water that was much in evidence as we can still see the remains of the public fountain and the huge baths complex. 3 temples form the capital and not only one, several basilicas, Byzantine forts, olive press, private homes, the very straight roads respecting the regular Roman grid system are the monuments not to miss when walking around the site. 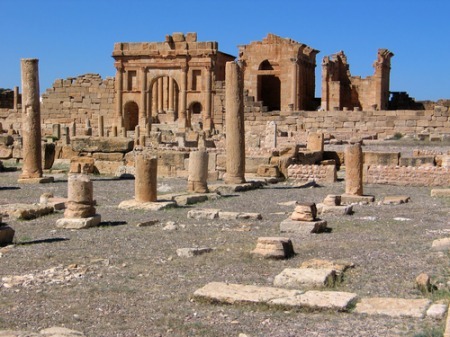 Further south is Gafsa the Roman Capsa and the capital of the great south in Tunisia. That’s where we will spend the night. Dinner and overnight at hotel Gafsa Palace 4*. After breakfast departure to El Hamma to join the 4x4 cars that will take us to the mountain oases of Chebika and Tamerza to start with onto Ong Ejmel. A beautiful walk up on the hill and across the deserted village of Chebika and going all the way down to where the natural spring is will be followed once in Tamerza by the visit of the water fall and a photo stop at the deserted village as well. When we get back in the 4x4 we carry on crossing Chott El Gharsa to get to Ong Ejmel, where the English patient was filmed then continue to the Star wars décor for another stop and visit. On our arrival to Tozeur, it soon becomes quite clear that the main attraction of this desert city is its vast oasis. 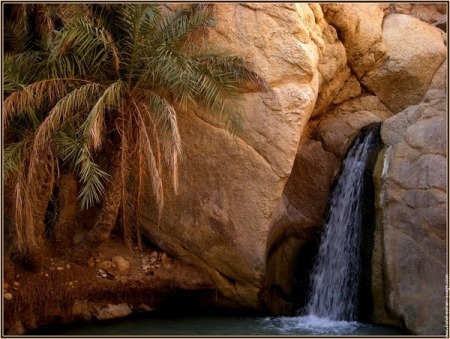 This oasis covers about ten square kilometers which has been planted with some 400,000 palms and is fed by 100 springs. 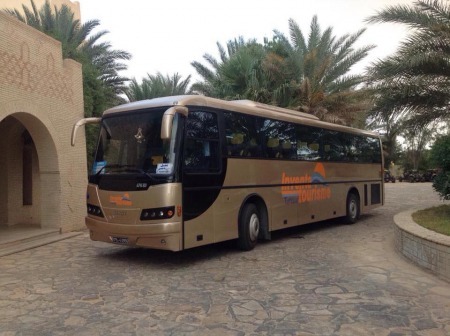 We check in at hotel El Mouradi Tozeur 4* located in a beautifull oasis. Dinner and overnight. 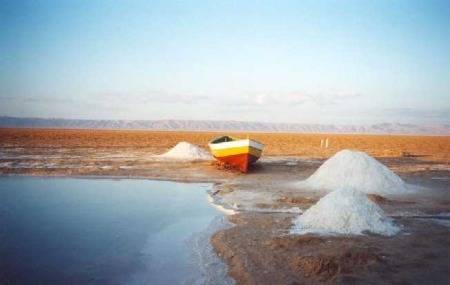 Our tour continues in the morning and after breakfast to Chott el Jerid, the largest salt lake in Tunisia and where, if warm enough, we may see the mirage. A couple of stops will take place at the best spots. We carry on to Douz, the gate way to the Sahara in Tunisia via the administrative capital of the area: Kebili. 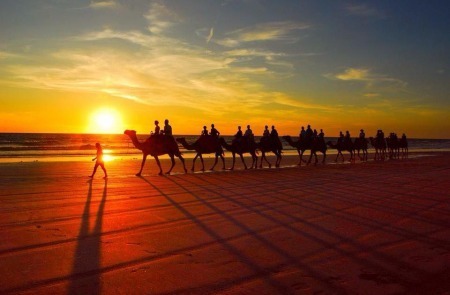 Before checking in at the hotel, an optional camel ride for a good hour and on the sand dunes can be organized for you. Dinner and the overnight at hotel Sahara Douz 4*. After breakfast we leave Douz heading towards a unique village in the south of Tunisia: Matmata. 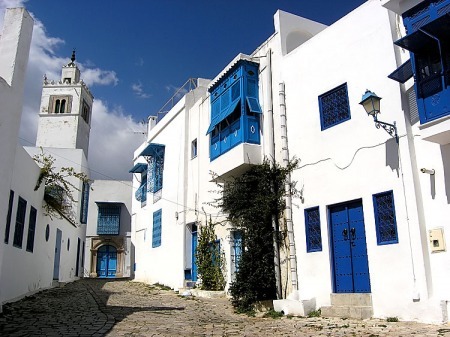 The village is famous for the troglodyte architecture and the cave dwellings and therefore we will visit one of them before going to visit the troglodyte hotel of Sidi Idriss where the very first ‘Star wars’ was filmed. We start after that our drive back to north with an extremely important stop at the impressive coliseum of El Jem. Tracing back to the 3rd century, the amphitheatre is the largest in Africa and the most preserved one in the world. It’s so well preserved to the point that visitors can go underneath the arena and go all the way to the 3rd floor. After leaving El Jem, it’s just over an hour drive to get to Sousse. Check in at hotel Marhaba Royal Salem 4*. Dinner and overnight. Depending n the flight time, and after breakfast, departure from the hotel to Tunis Carthage airport for the flight back to your destination.